Bayeux is a wonderful village in the Normandy region of France. It is located 7km from the English Channel or La Manche, as the French call it. 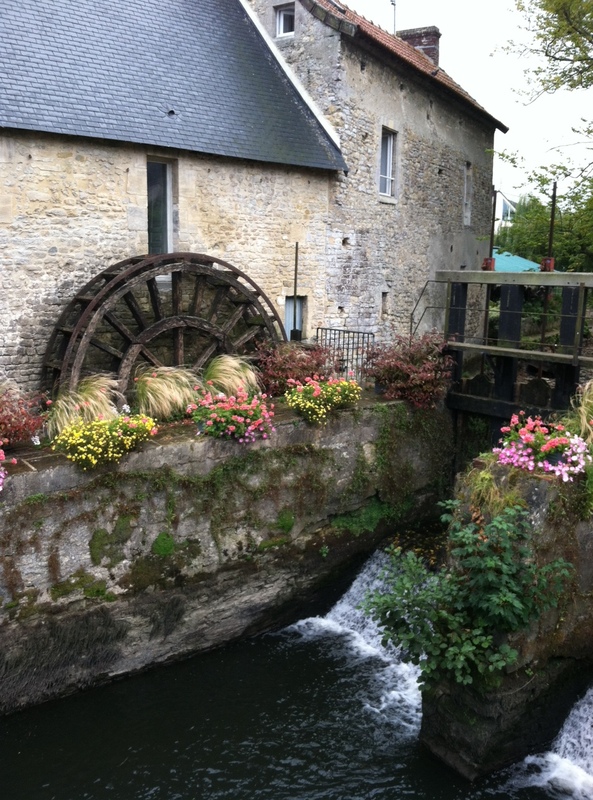 Bayeux’s history dates back to the 1st century where is was a Gallo-Roman settlement. The city was largely destroyed during the Viking raids of the 9th century, but was rebuilt again in the 10th century. Through the next several hundred years the city continued with its destruction and rebuilding as the English and French fought over control of the area. Bayeux was the first city of the Battle of Normandy, during World War II, to be liberated. On June 16, 1944, General Charles de Gualle gave a speech in Bayeux, where he made it clear, that France sided with the allies. 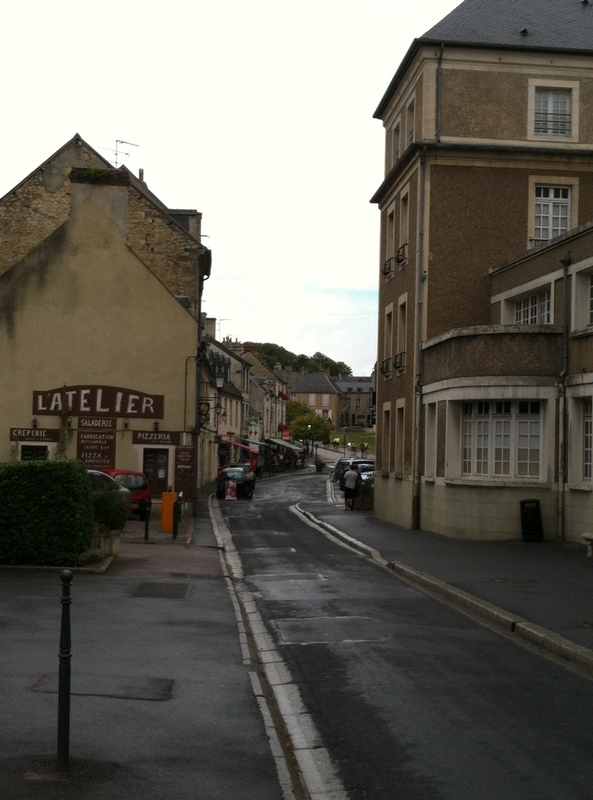 The buildings in Bayeux were virtually untouched during the Battle of Normandy, since the German forces were fully involved in defending Caen from the Allies. 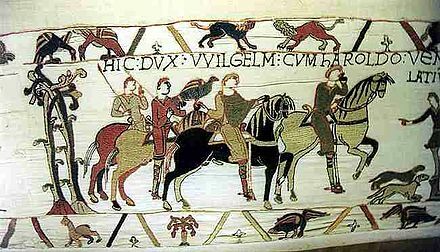 Bayeux is popular now as visitors come to see the Bayeux Tapestry (it is actually embroidered cloth) which tells of the Norman Conquest of England in 1066 by William the Conqueror. It is a site to be seen. The tapestry measures 70m (230ft) long. You can listen to a recording as you stroll around the tapestry. They also have recordings specifically for children (and in English). The cathedral there is also a site to behold and was the original home of the Bayeux Tapestry. 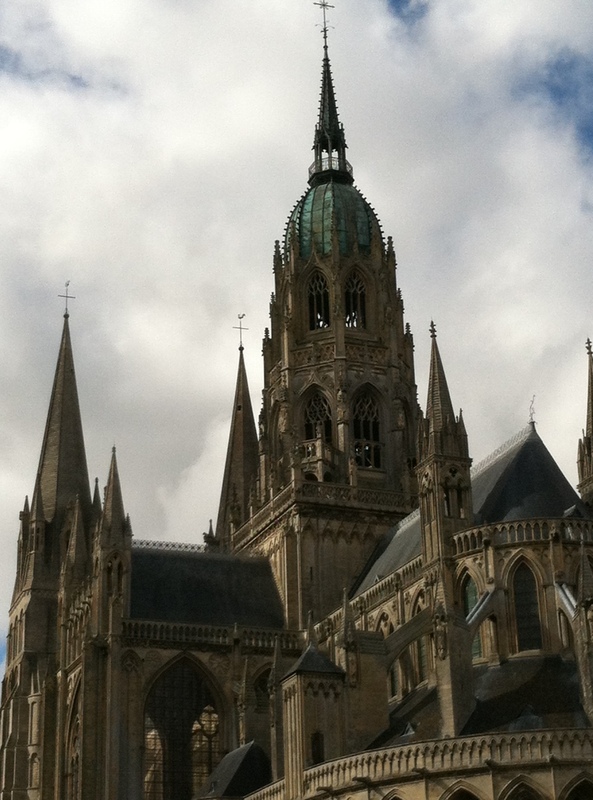 The cathedral is known as the Cathedral of Notre-Dame de Bayeux and was consecrated on July 14, 1077. Bayeux is a must stop on any Normandy visit.